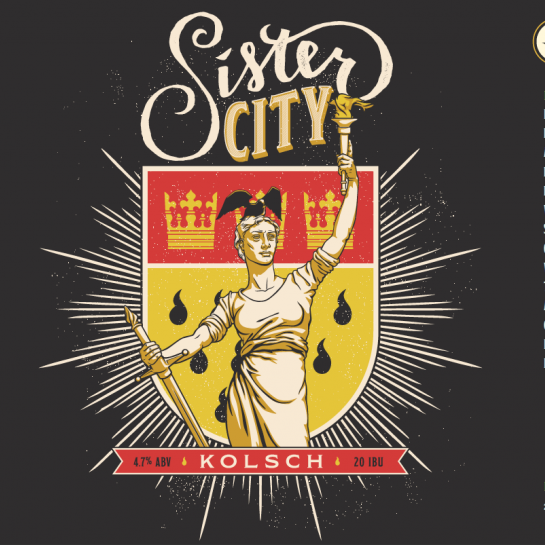 Indiana City’s Sister City Kolsch at 4.7% ABV and 20 IBU is crafted “in adherence to brewing guidelines drafted by Cologne brewers to preserve consistency and quality for this delicious style. It’s a delicately balanced, lightly hopped, straw colored ale that drinks like a crisp clean lager. Cologne, Germany is the birthplace of Kölsch bier and it’s also one of Indy’s eight Sister Cities,” said Ray Kamstra, Indiana City’s founder/brewer. A shared can of Schnitz Brewery Blonde Ale was my first introduction to the recently opened Jasper brewery and brewpub, that is an extension of the Schnitzelbank Restaurant opened in 1961 by Larry and Betty Hanselman. Nestled in a scenic setting, the ambiance is old world Black Forest Germany, where the feel of Christmas is year-round. With three generations of the family involved, the move to crafting four house beers on-site is a natural progression to linking Jasper’s German heritage traditional with Southern Indiana’s emerging craft beer industry spurred by Evansville’s closeknit trio of breweries—Turoni’s Pizzeria & Brewery, Tin Man Brewing Company and Carson’s Brewery. Larry Hanselman explained the philosophy behind Schnitz’s four house beers—a Wheat, Blonde, IPA and Porter—is to introduce the fuller flavors of on-site handcraft to a population used to drinking blander offerings from big breweries or beers that are shipped over from Bavaria. Half Moon’s New Seasonal, Off Kilter, a Scottish "Wee Heavy" ale, has a full body and rich, malty flavor. There's a slight roasted character with plenty of malty caramel for a smooth taste. the Batman vs Superman film debut, encountered a glitch. This late afternoon Facebook notice, posted by FLIX Head brewer Chris Knott on March 24, is a case in point. “Sorry for the delay folks. We had a firkin faucet mishap, and I'm currently at Broad Ripple Brewpub borrowing one.” Despite the mishap, the firkins were still emptied before NUVO colleague Casey Parmerlee and I arrived. Hopefully the beers will re-surface, in true super-hero fashion. Casey and I missed the duel of light & dark brews because we first stopped in at Metazoa Brewing Company Taproom in anticipation of their April 1 Grand Opening. The handsome building was an industrial hub that Metazoa founders Dave Worthington and Rand Wilson envisioned as a perfect location for a brewery and a taproom with a view of downtown Indianapolis. Theirs has been a journey of endurance, and it has been worth the wait. Stop in for the welcoming decor and seven flavorful house beers with whimsical names that support for 12 animal and wildlife organizations in Indiana, across the U.S. and worldwide. 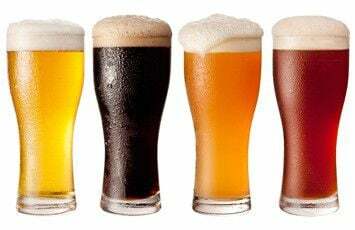 While the house beers easily can become favorites the wide range of seasonals and specials will drive the excitement of expectation for 'what's next' in a developing neighborhood-on-the-rise. As with nearby neighbors Indiana City, Flat 12 and Sun King, Metazoa is a production brewery with out-sourced food. Just up the street is St. Joseph Brewery & Public House with a full service lunch and dinner menu along with a roster of brews. It’s fun to note that all this good Indiana craft beer is happening within an easy walk from Indianapolis’ second brewery that opened in 1842, along our main thoroughfare, the National Road, at the corner of what was then Noble Street—renamed College. Ok, so Yats at 54th and College doesn’t serve beer, but it’s ‘the mother lode’ and when I stop in, it reminds me that a meal here is complimented by the feel of warmth from a staff that shares pride in serving at a special place. While beer isn't here, it is available at Yats’ Mass Avenue and 86th & Ditch sites.